The New Year has greeted us with a lot of winter storms. While the wonderland continues to build, bring some new life into your home with plants that will last through the season. 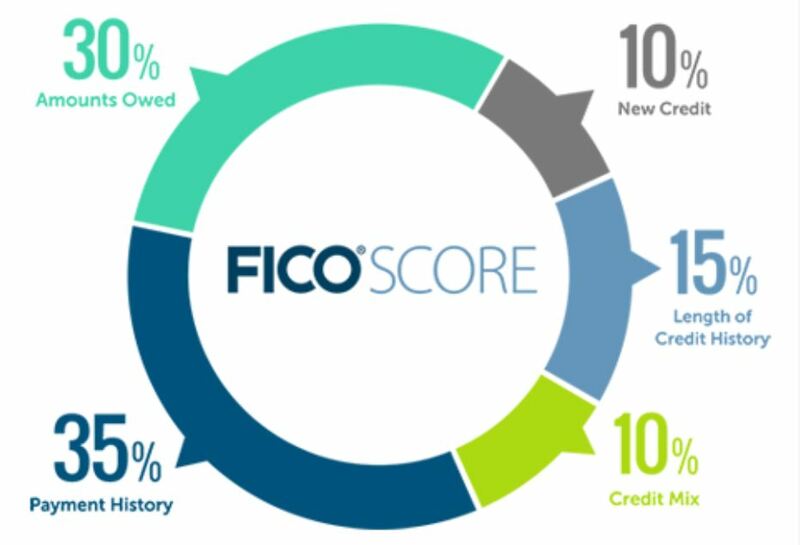 Take a look at our five steps below, and you will be on your way to enjoy a pop of life in your home. First, pick a spot for your new flowers or plant. Will it sit on a windowsill? Or perhaps in your office or maybe in your bathroom away from direct light? 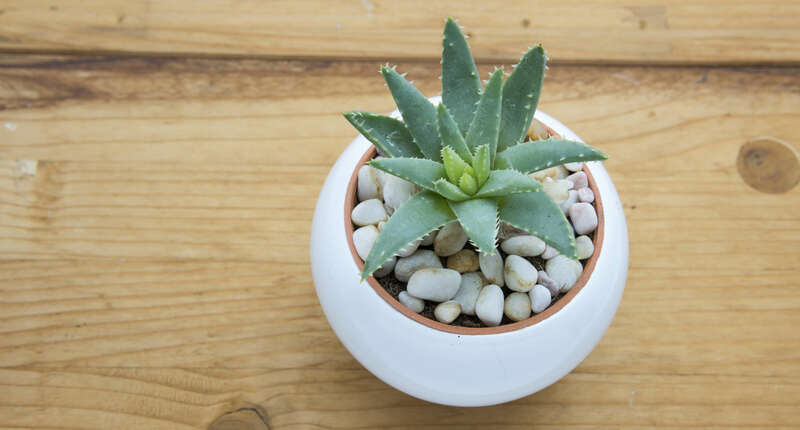 Next, shop the list of five suggested succulent and indoor plants below! From the succulent family, the aloe plant needs very little attention. Its characteristics include long tentacle-like arms sprinkled with spikes. Don’t let the pointed edges keep you away, aloe has many healing properties and is wonderful for dry or sunburnt skin. Aloe can grow close to three feet high or use aloe vera for a smaller version. This succulent is best in a sunnier area. Another succulent option is the softer looking Jade Plant. This slow-growing plant can last through decades of the harshest winters in the comfort of your home. It can stand alone in its own pot, or join a family of other succulents for a larger arrangement option. 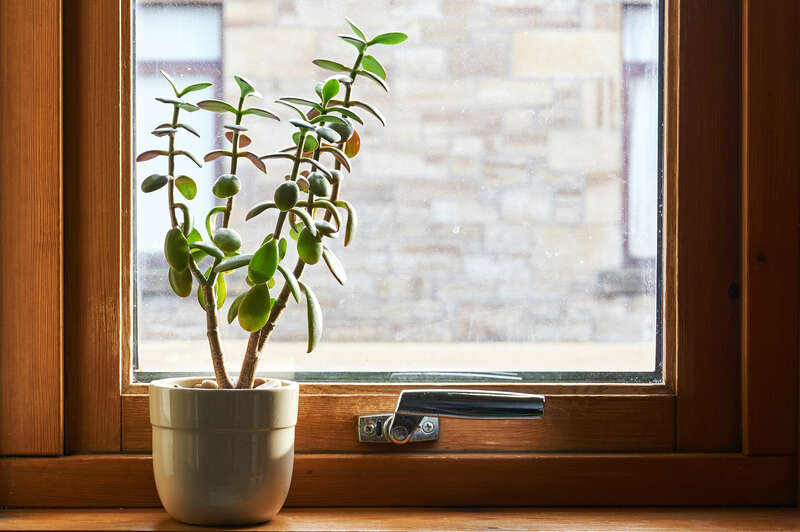 The Jade Plant prefers bright light and a comfortable room temperature. Maybe you’re looking for some more color from your indoor plants? Then the Phalaenopsis, of the orchid family, may be perfect. 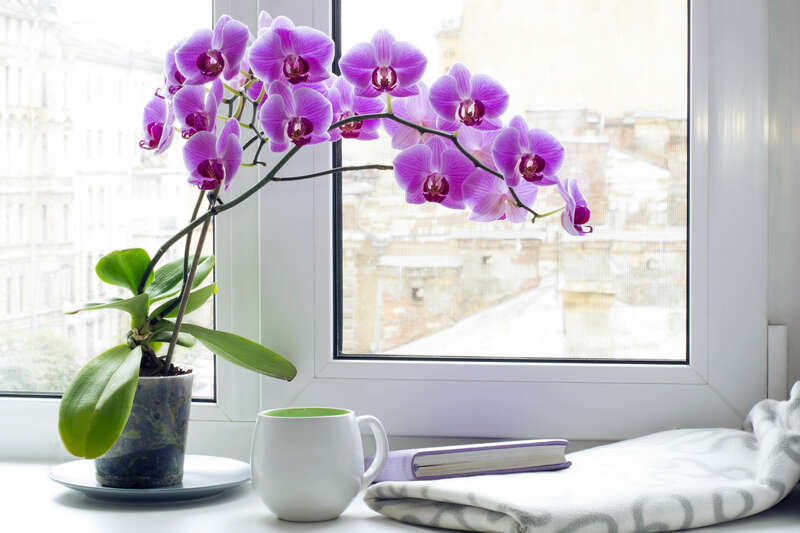 They are easy to care for and with a soft scent and Winter blooms, an orchid will warm up your home during Winter. Looking for bright and full color in your indoor plant display? 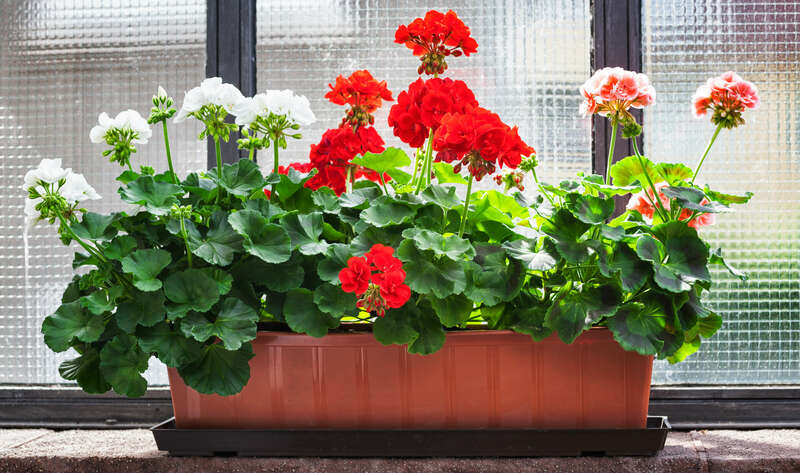 Search no further than the Pelargoniums! These look like they jumped out of a spring garden magazine and settled into a comfy spot on your counter. The pom-pom head flowers seem to never stop flowering and do great by a window. What if you’re looking for just a subtle pop of greenery? 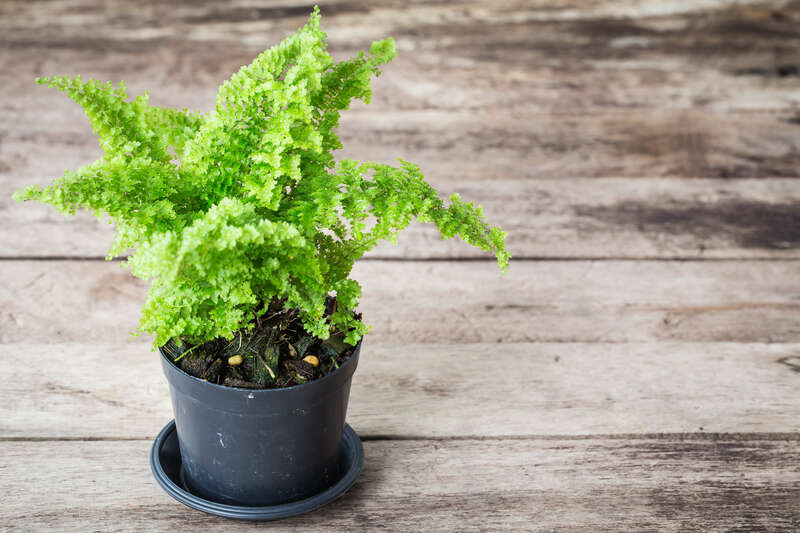 The Maidenhair Fern does well in dimly lit corners or rooms, is lush in leaf count and rich in color. Now that you have selected your perfect plant, or two, it’s time to find its home. Whether you put it in a glass vase, traditional terracotta pot or some household items this is the area to let your creativity shine. Looking to DIY a pot? A simple paint job, wrapping it with ribbon or rope may do the trick. Maybe finding some household items that can be transformed into adorable pots is more your style. The cool thing is that there is no end to the types of arrangement combinations you can use for your house plants. Now you have a plant and pot, you’re almost there! If you chose one of the succulent options we recommended, here are a few tips to pot your new bundle of joy. First, take the succulent out of the nursery pot and remove as much of the soil off of the plant as possible. If you chose a pot with a drainage hole place some mesh tape over it so chunks of the soil don’t fall out. Then fill the pot mostly with well-drained potting soil, and add your succulent! If you are planting more than one in a pot, most succulents can be right on top of each other. However, if you want them to grow larger or faster, place them about an inch apart. If you chose the flowers or fern, it is best to keep the nutrient-rich soil from the Nursery. These plants will need the extra water it retains. Place the plant with the soil around in a pot and add extra soil if necessary. Congratulations, you are now ready to care for your plants! Basically, you just need to water these plants once a week and enjoy. The most common way to kill a succulent is by overwatering it. They will need at least a weekly watering ritual. The best rule of thumb is to water the flowers and ferns when the soil is dry to the touch. Bring some warmth, color, and life into your home during the cold winter month and enjoy!